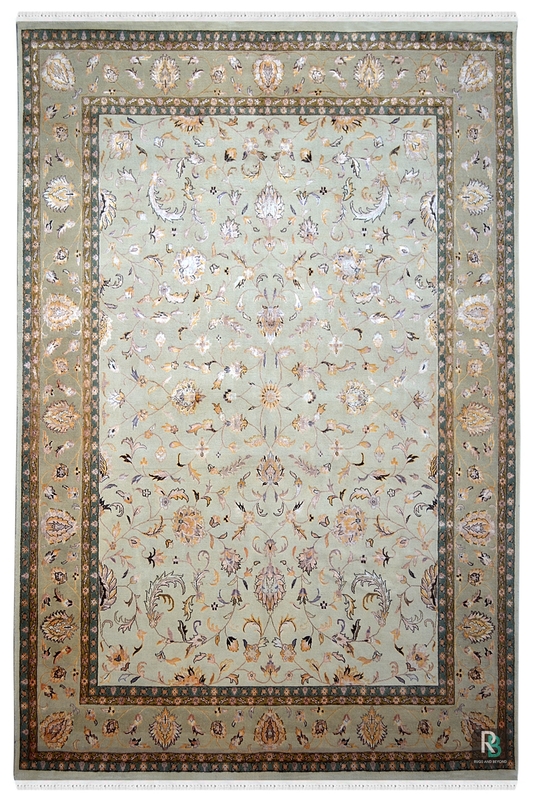 Shop eye-catching Ivory Fluer Silver Handknotted wool rug for Classic look. Give a luxurious look to your home by placing this beautiful rug which is hand-knotted in pure wool and cotton material. Due to cotton foundation, it is a highly durable rug. Ivory Fleur Silver is the most beautiful hand-knotted carpet and it is “one of a kind” design pattern. The Ethnic pattern motifs are transformed it in Indian style. This beautiful handmade carpet is totally hand-woven in Pure New Zealand wool and finest quality of a cotton material. Wool is one of the most natural fabrics which are produced by sheep hairs.